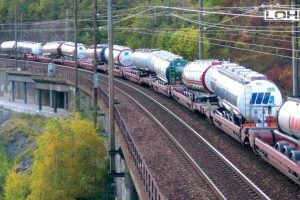 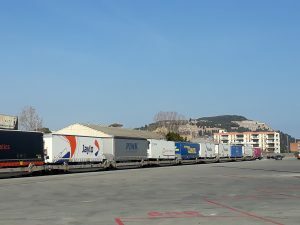 The LOHR Railway system is a road-railway system (piggyback) which is technologically safe and economical for the transportation of standard road semi-trailers on the European rail network. 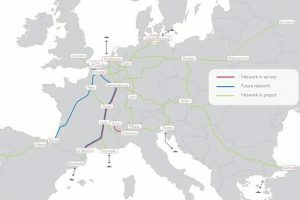 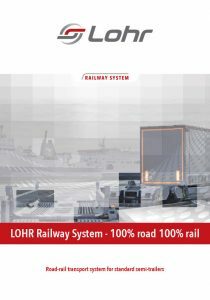 Lohr Railway System provides a solution that is truly competitive, environment-friendly, immediately operational, complementary to road transport, and able to absorb the high levels of transit traffic currently saturating the European road and motorway networks. 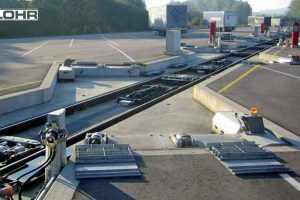 It combines the flexibility of the road with the advantages of rail for medium and long distances. 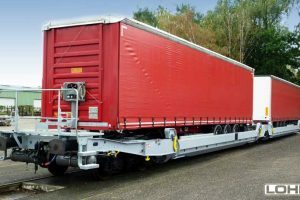 The LOHR UIC car allows standard 4-metre-high semi-trailers to be transported.